India: Death toll rises in devastating Kerala floods – Royal Times of Nigeria. 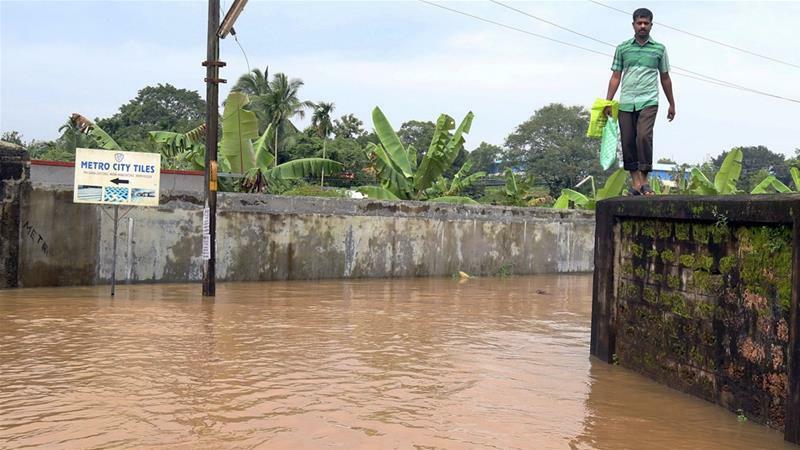 The death toll brought on by floods, landslides and bridge collapses in India‘s monsoon-hit state of Kerala has risen to 77 as heavy rainfall threatened new areas. More than 60,000 people have sought shelter in relief camps and the army and navy have been called in to assist with rescue operations, airlifting people to hospital, according to the official. The chief minister has requested the deployment of additional personnel from the Indian army, navy and other emergency forces who are already working across the state, famed for its pristine palm-lined beaches and tea plantations.Hundreds of villages have been flooded, more than 10,000km of roads and thousands of homes have been destroyed or damaged across the state, officials said.